If you’ve been counting down the days until you can wrap yourself in a favorite sweater and drink hot coffee – feel a bit of comfort now. Because very soon you’ll need to put a Fall wreath on your front door! So today, we bring you 40 terrific DIY fall wreath projects. Just in time to create something great everyone can admire! Beginners are going to be pleased, if you are brand new to wreath projects. Even some of the more complicated and advanced wreaths are pretty beginner friendly. This is usually a project you can do in an afternoon, or at least a weekend or two. One of the things that is great about DIY Fall Wreaths is they make wonderful housewarming gifts. If you have new neighbors or friends who’ve moved into a new home, this is a lovely DIY gift to present them with. Try to look at the outside (and the inside if you can) of the house to get a sense of their favorite colors and anything that is especially preferred to decorate. That is pumpkins instead of chestnuts or peonies instead of pinecones. During the fall season, you’ll see quite a few popular trends to choose from. We highly recommend you DIY at least 1 (or several) Fall wreaths this season. 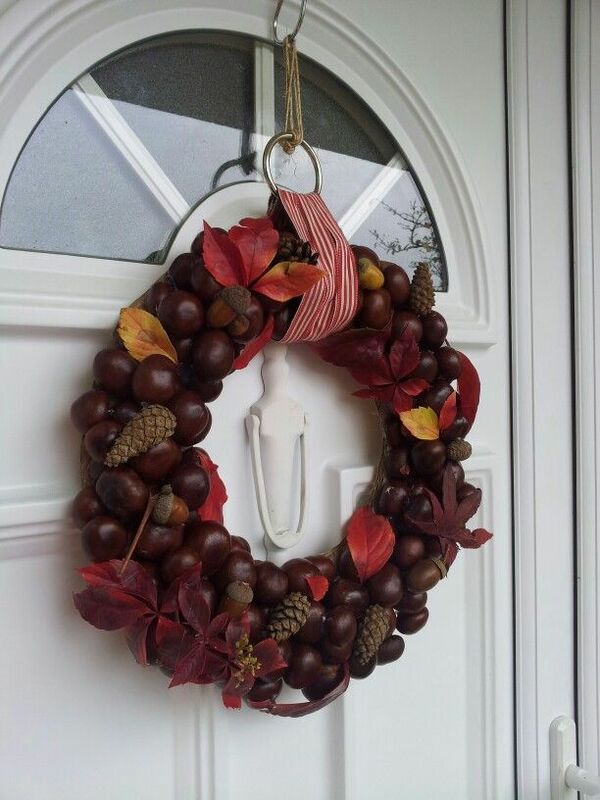 Remember, they are perfect to decorate not only the outside front door, but the inside of your home too. There’s so much you can do with this great and fun DIY project. So let’s get started. Happy DIY-ing! Love fall leaves? DIY a great wreath with them. Love flowers? This is the perfect fall wreath for you. Love pumpkins? DIY this great wreath. Ready for Halloween? Look at this wreath. Love peonies? This wreath is perfect for your front door. Want a wreath with the bright colors of fall? DIY this one. Here is a wreath in a unique shape. It will get lots of compliments! Want a monogram wreath for Fall? Look at this one. In the mood for Halloween? DIY a spooky wreath like this one! Pinecones and peonies! So pretty. Are you a squirrel fan? Then you’ve got to check out this great fall wreath! Want an indoor wreath? DIY this one. Want to give everyone a warm welcome? Try this fall wreath. A very sophisticated wreath. So lovely! Love cute squirrels? Take a look at this wreath! Love monograms? Try this wreath for fall. Want a great flower wreath? Try this one. Celebrating the fall in the south? Look at this pretty wreath! Want a monogram wreath? DIY this one. Here’s a fun wreath for fall. A scarecrow! Want to make a fabric wreath? DIY this one. Here’s a pretty fall wreath. It has a monogram too. Love burlap? Here’s a great DIY fall wreath. Love bright berries? Look at this lovely wreath. Acorns are a symbol of fall. Look at this pretty wreath! Isn’t this pretty? Just in time for fall too. Isn’t this just like the start of fall? So pretty! Everyone knows that apples are a symbol of the fall season. DIY this pretty wreath! Isn’t this charming? 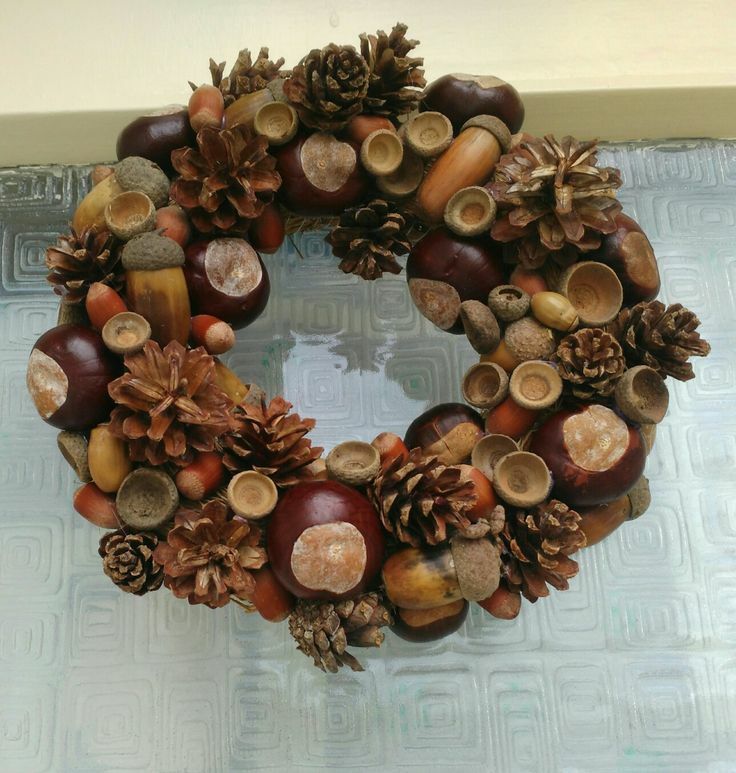 A pretty acorn wreath. Want a charming wreath? Look at this great one for fall. Love chestnuts? See this lovely wreath. So lovely! Perfect for the fall holidays. A classic fall wreath. You can DIY this one with a walk in the woods. Want a colorful wreath? Try this one for fall. Want a wreath in neutral shades? DIY this one! Such a lovely wreath! With leaves and pinecones. Isn’t this pretty? Perfect for fall. Are you a chestnut fan? Take a look at this great fall wreath. Isn’t this lovely? A wreath from pinecones and acorns. Isn’t this pretty? A chestnut wreath with flowers woven inside.